COLUMBIA, Mo. 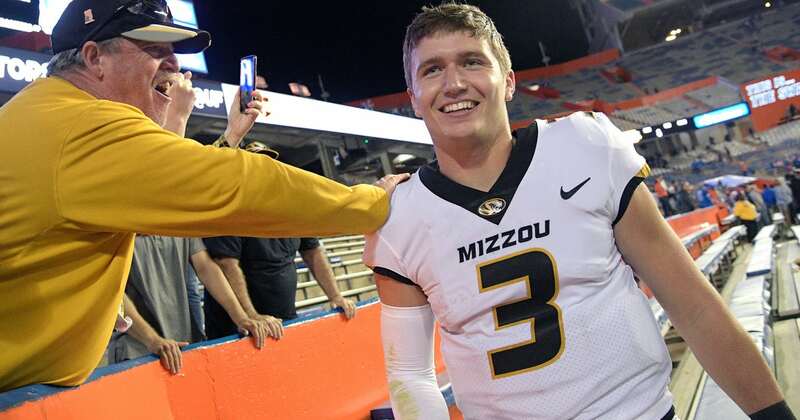 — Missouri had been lacking a signature win in quarterback Drew Lock‘s final season, losing late on the road against South Carolina and two weeks ago to Kentucky. The moment finally came last week on the road against No. 11 Florida, when the Tigers seemed to put everything together for the first time in a 38-17 rout — coach Barry Odom’s first win over a ranked team. The Tigers (5-4, 1-4 SEC) hope to take the same approach into Saturday’s game against Vanderbilt. Missouri can become bowl-eligible by beating the Commodores (4-5, 1-4), then build its resume with a favorable finishing stretch. After Vandy, the Tigers get Tennessee and Arkansas to finish out the season. Vanderbilt is fighting for bowl eligibility, too. The Commodores follow their trip to Columbia with home games against Ole Miss and Tennessee. Senior center Bruno Reagan knows well what happens if Vandy wins at least two of its final three. After losing three straight, the Commodores got back on track with a 45-31 win at Arkansas as Ke’Shawn Vaughn ran for 172 yards and three touchdowns. He will face a Missouri defense that ranks 25th nationally and allows just 125 yards rushing per game. The Commodores also must contain a Tigers offense that piled up 471 yards at Florida. “I think this football team coached by Barry Odom is as hot of a football team, as talented of a football team as there is out there,” Mason said. Both guys under center — Lock for the Tigers, Kyle Shurmur for the Commodores — have started in all four years at their respective schools. Shurmur ranks third on the Commodores’ career passing list with 7,772 yards. Lock has 11,089 yards and needs just 65 more to move into fifth place on the SEC’s career list. “I feel like (Shurmur) and I played against each other,” joked Odom, who played linebacker for the Tigers from 1996-99. Missouri senior wide receiver Emanuel Hall took the field last week after missing four games with a groin injury and coping with the death of his father. He caught four passes for 77 yards and a touchdown, igniting the Tigers in their blowout win over the Gators. The Commodores could be without a pair of safeties. LaDarius Wiley‘s father died late last week, and Mason said the safety will rejoin the team when possible, even as late as Saturday. Zaire Jones has been suspended indefinitely for violating the student conduct policy. Mason said Jones will miss the rest of this season. Wiley has started every game this season and is the Commodores’ second-leading tackler. Jones has started once and has 13 tackles. Vanderbilt linebacker Jordan Griffin leads the team with 46 solo tackles and 91 total tackles. The senior’s total puts Griffin second in the SEC behind Arkansas’ De’Jon Harris, who has 93 heading into Saturday. Earlier in the season, Missouri couldn’t avoid its own mistakes in turning the ball over. But the Tigers have now played 209 consecutive offensive snaps without committing a turnover.